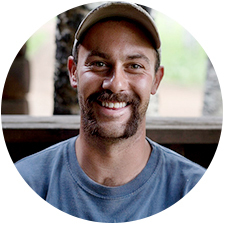 Neil Chapman is The Nature Conservancy’s Northern Arizona Program Restoration Manager and lives in Flagstaff, Arizona with his wife Jennifer and son Joseph. Neil grew up in South Hadley, Massachusetts, a small western-Mass town along the Connecticut River established in 1775. Heading west for college, Neil received a B.S. from the Colorado State University School of Forestry in Fort Collins, Colorado in 2001. Shortly after college, Neil’s conservation career began with The Nature Conservancy at the Nachusa Grasslands in northern Illinois where he supported the stewardship of tall grass prairie and oak savannah restoration projects. In 2006, Neil returned to the west and began managing ecological restoration projects throughout northern Arizona based out of TNC’s Hart Prairie Preserve. Neil’s current role involves forestry and fire management programs throughout northern Arizona’s forests and grasslands. Recent projects include developing and field testing technologies that transform forest restoration project planning and mechanical timber harvesting operations. The technology streamlines project layout and provides an important source of data for adaptive management as operational information on prescription implementation is now readily available to sale administrators.